Please join us the New Gloucester Fire Rescue for our annual chicken BBQ! Thank you to Thompson’s Orchard for teaming up with us again. We’ll be set up with the hot coals burning as the amazing BBQ aroma wafts through the apple orchard while you, your friends & families are having a fun day of picking apples. Plan on a delicious hot meal with all the fixin’s when you’re done. Your support will help us buy life saving gear & equipment & we truly appreciate “YOU” our community! Bring the family , friends it is sure to be a great day! Serving noon until the chicken is gone, ( hint) it sells fast! See you on Sat. Sept 23 @ 12 noon! 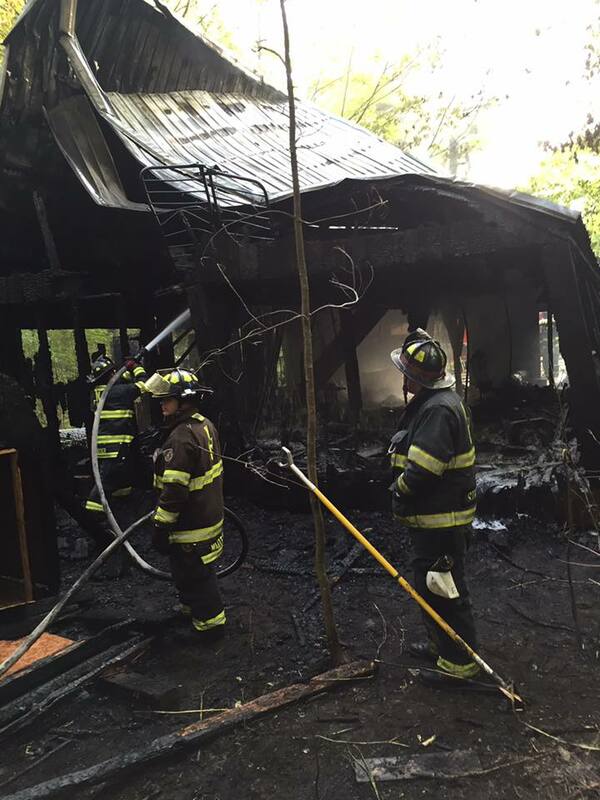 The New Gloucester Fire Rescue was dispatched to a woods fire that was spreading to a garage at approximately 5:30pm on Friday May 27, 2016. 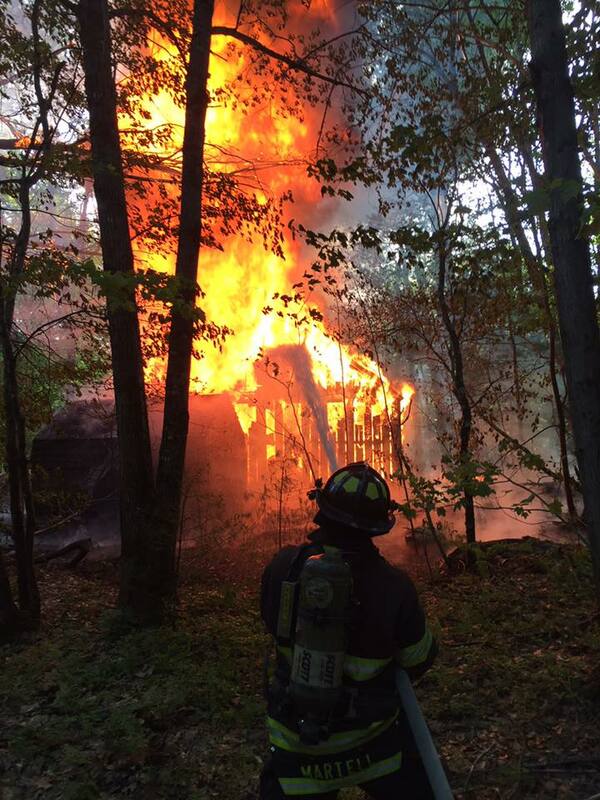 Fire officials first on scene reported heavy fire from the rear of the 25′ x 60′ structure. The structure contained an oversized 2 car garage with a partially finished second floor used as an office. It took fire fighters over two hours to contain all the flames. The fire was difficult to extinguish due to the access of water and a partially collapsed metal roof. The collapsed roof contained some of the fire until fire fighters could make access. Fire Fighters used foam to help suppress the hot spots and also used over 25,000 gallons of water. 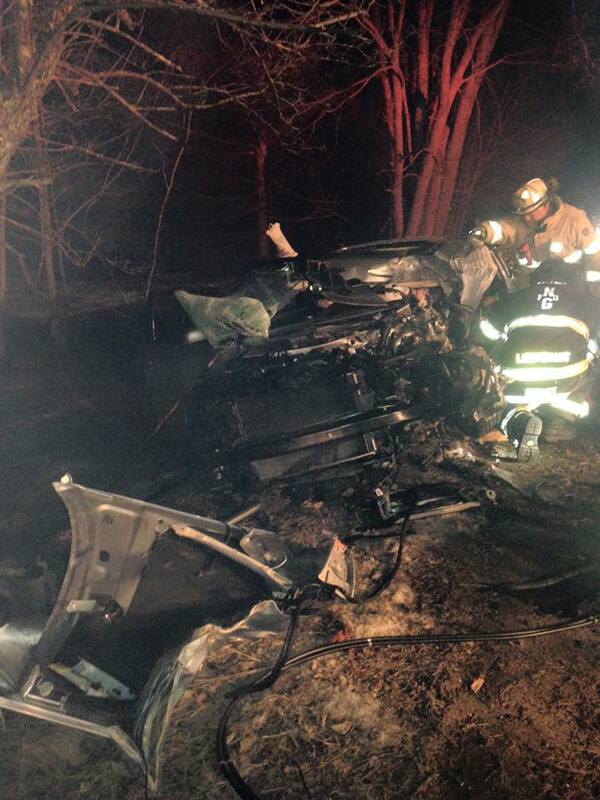 The New Gloucester Fire & Rescue responded with 14 Fire & EMS. 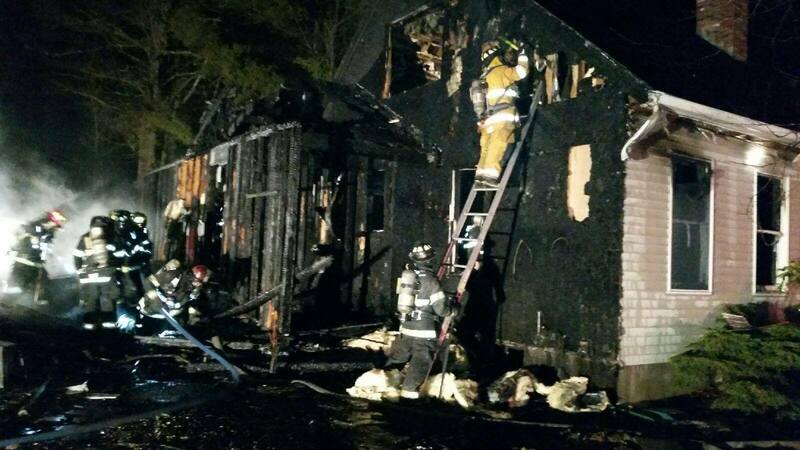 New Gloucester was assisted by Poland Fire Rescue Department, Gray Fire Rescue, Pownal Fire & Rescue Departmentre , @Durham Fire & Rescue, and North Yarmouth Fire Rescue. The cause of fire will remain as unknown. No one was hurt on the emergency scene. The building was a complete loss and it is estimated at a value of $150,000. Days are numbered for ice fishing, as the warm temps keep visiting the region this winter. February at the Outlet, on Sabbathday Lake.